Books written by great Masters are not mere recordings. You can say they are literally the transfer of their consciousness into their works. A simple man writes for communicating a certain piece or knowledge or information but an adept transfers their knowledge or information as it is even though they may be writing with their hands. What gets recorded is the subtle property of that information. It not necessarily is transferred into the reader but is transferred in the subtle form of the writing or recordings or print, whatever the medium looks to be. The transfer only happens in subtlety when another subtle form becomes receptive to it which lie in the writings. The receptive subtle form of the reader depends on his/her level of awareness of consciousness and his/her keenness and intention of 'knowing'. The gross form of the reader is the eyes that read it, the brain that interprets it and the mind that gives sense to it. Just like the mind's giving meaning to it depends on level of intelligence and acceptance of the subject, the subtle consciousness in the form of awareness and the level of consciousness, purity, intention, absorbs the nectar of the writings into one's consciousness. Here, no brain work or mind work is involved for the transfer just happens. 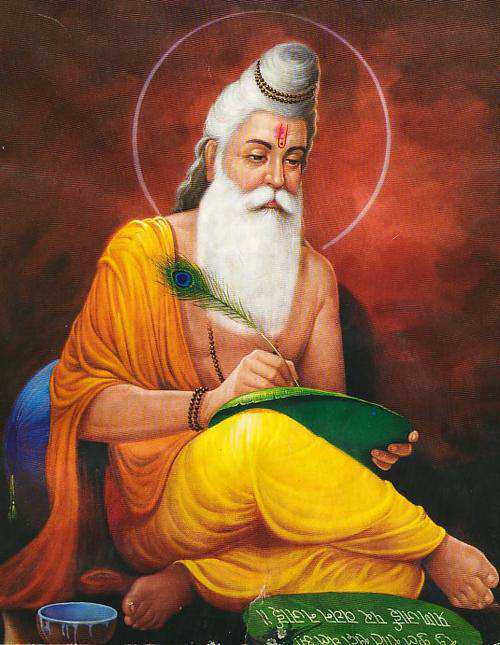 That's the secret of why great adepts or Siddhas preferred to write. It was for both reasons - for a curious mind, it supplied knowledge and for a seeking mind, it shared wisdom and for the very few it transferred whatever the adept had intended to. Baba, thus, even with a book in hand never reads them. As He often mentions, He just reads the first few pages, probably to check content or to know the consciousness of the writer and then it is just transferred into His gyanamaya kosha. When i once asked Ishan bhaiya a certain book, he handed me another book but never encouraged me to read 'anyone's book' but to read from original sources. For example, a book or scripture can have various authors, all of whom have written it the way they interpreted or in simple words, according to their level of consciousness. So, instead of tapping into someone else's consciousness, it is better to read the original text by meditating on them. One good reason Baba says "You be the book and you be the reader". The risk with learning (knowledge) was the misinterpretations that could happen due to wrong intention or ignorance or ego. There is no such risk with wisdom transferred into consciousness because if there is no pure intention, pure love, pure devotion, pure seeking with the reading in awareness nothing much happens. That's why many great masters preferred flowery language and poetry that satisfied the logic entertaining minds with intelligent, witty, and wisdom but with seeking minds, it transferred something more profound and deep for spiritual growth. 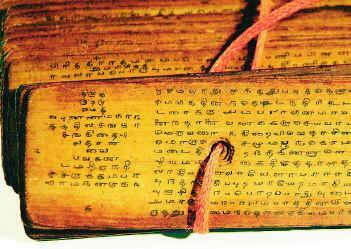 But, again, it was not that they preferred to complicate language and twist words as it seems, but it was something that flowed out of them at very high state of consciousness, like the sacred book Tirumandiram, for example. 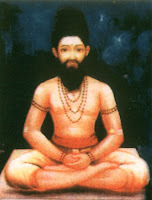 It contains 3000 verses of Siddha Tirumoolar, who was always absorbed in samadhi, but just once a year came out of his samadhi and wrote one verse. He lived for 3000+ years and that is why 3000 verses! The entire book looks like a book of poetry and is very complicated to understand with even an intelligent mind. Each verse in reality contains everything that the great Siddha contemplated upon in that year, in just one verse! This was written at such high exalted state of consciousness that one has to raise one's vibrations to atleast a certain level to even get close to understanding it. But then, these are their mystical ways of sharing as well as protecting the secrets of the Universe. There are innumerable such masters who walked on earth and wrote or talked in coded or mystical ways. Jesus Christ also was one of them. What He talked was hardly interpreted to it's fullest meaning. Similarly many saints spoke but there were multiple interpretations and that was due to the different level of consciousness of every soul that read it. Surprisingly, all interpretations seemed intelligible. That is why it is encouraged that ancient scriptures not be read or studied but meditated upon. By meditating on the words, one is reading with a sense of total awareness, with eyes doing the reading, mind visualizing what is read and awareness is totally still. The reading thus becomes nothing less than a meditative process, a sadhna. Choosing the right kind of books and right kind of text becomes thus very important because one can literally transfer anything into oneself this way, even negative stuff. Hence, special attention to be given to what you truly want. Remember, by meditating on reading, you actually are also manifesting what you are engrossed with - for that is becoming part of your consciousness. So, choose wise. Books, when read, work on the superficial mind stimulating entertainment or getting information or knowledge. A deeper mind still reads deeper into a hidden meaning behind the text that appears symbolic to something more profound. Even deeper is the energy that this information carries. Seekers focus on this part - the energy part. 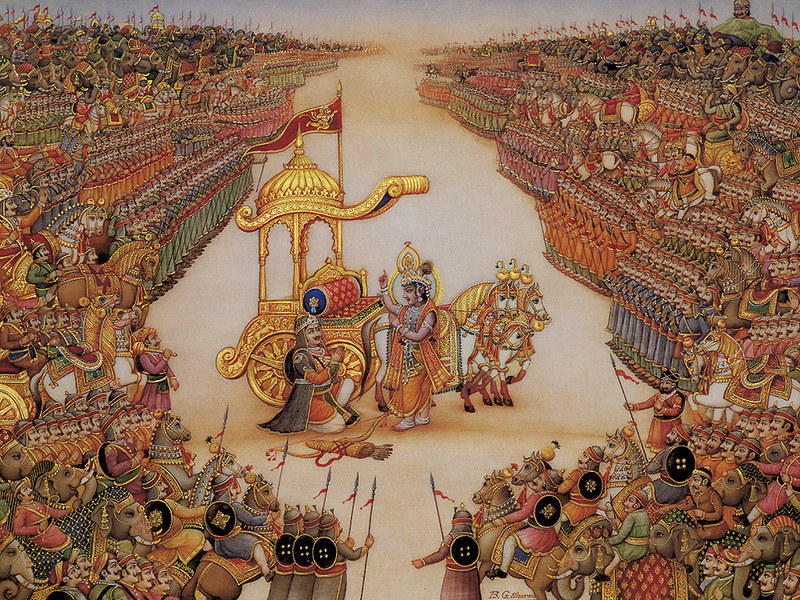 Like if someone is reading the Bhagwad Gita, one may be amused or entertained at the battle of Kurukshetra, with Lord Krishna who the center of it all with the secondary important role of Arjuna, and other two important aspects of the story revolving around the two teams - Kauravas and Pandavas. For a casual mind, this is purely a story and is as entertaining as the story of a Hero or Savior. To a devotional mind, the focus is on the awe of listening to Lord Krishna, who is none other than God, hence listening to God's action and divine words. The devotional minds benefits more than the casual reader for he has an interesting story and also the opportunity to listening to an incarnation of the Almighty. A deeper contemplating mind will also read the symbolic expression behind it all and intuitively know what lies hidden in the guise of a story. He will see that Kurukshetra represents nothing but the mind which is like the battlefield between the Pandavas and Kauravas, who represent the - good and evil thoughts, the constant struggle of the mind between good and evil thoughts. Arjuna, being the intellect and Krishna being one's inner voice or conscience that is guiding Arjuna (intellect) that decides and chooses from right or wrong. The intellect is confused and logic and acts on intelligence and in moments of utter confusion takes refuge in Krishna, representing one's conscience. Such a contemplative reader even gains more because he is enjoying a story, drinking the nectar of devotion, and also wisely learning the real meaning of it all and how to use this in his own life as the real solutions offered by the holy scripture. But a seeker or an aspirant who works even more deeper on the subtler aspect will gain the most because more than everything lies the powerful energy contained in the text that is the most subtlest form of the gross text and gross story. When the aspirant reads it in total awareness or meditativeness he is transferring the wealth of consciousness of the scripture into his, at the same time enjoying the story, understanding its hidden meanings, and also practicing devotion. Now, this is my interpretation of what i read and thus just my personal opinion, because i am not an validated to comment on any scriptures but i intend to bring the core part of meditating on texts. To continue, many great Masters coded these with a deliberate intention, sure had valid reasons for the same. When i say Masters, it is not just the Masters of a different era but many great Masters of yester-years and also few great Masters of the current time, who are still in their physical bodies! It is obvious that it cannot be decoded by intellect or any other way other than their grace or their intent on who should reach the text and who should be able to 'read' them. So it is foolish to even attempt anything without first having a pure intention or contemplating on why that information is needed or what is the purpose of using that wisdom. Pure intention cannot be learnt or worked at, rather it is directly a certain level of evolved consciousness. But certainly pure intention can be practiced through daily acts of life that automatically keeps raising the level of consciousness till the time one can effortlessly 'be' in pure intention. With this, meditating on text needs no effort, just your attention or interest and the rest just happens, without even having to know how. 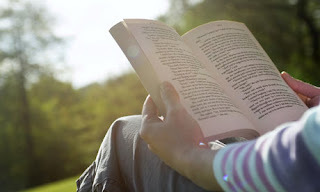 There are shaktipats that have happened with reading, mystical experiences with reading, divine guidance with reading, the whole secrets of life and existence transferred into people with reading, and must more that can happen with reading - but not the casual reading, but the right way of reading that is the key. All this happens when you meditate on the books you read than read the books you read. It is my personal experience that reading certain books of even today's age Siddha Masters have given me profound experiences including experiences of shaktipat and an actual and very quick manifestation of being in the places written in that book. It also included strange, mystical yet real experiences that might be too hard for the evidence-seeking minds to believe. Later i realized that these are very deliberate attempt of the Masters to lock energies in certain parts of the book in subtle form which when read with a certain level of awareness automatically gave you what they intended to give you. It's like a treasure-hunt game because there are treasures hidden at certain places. The routes and mysteries of the game keep you glued and various hints help you reach the treasures at certain locations and yet a few can be missed. It all depends on how you play the game. Similarly, it all depends on how you read something. Masters know of ways to keep you glued with interest in the book to arrive at certain places where only your level of keenness, sincerity, intentions and a certain level of awareness unlocks certain mysteries and grace and give you what was intended to be given to seekers. Like treasures are the rewards for your intelligence in the game, same way, spiritual treasures are the rewards for the pure intentions and sincerity in your seeking in the writings. Thus, a simple shift in the way you read can bring some very powerful shifts into your consciousness without which the book is no different from the book adorning the shelf or even the book wrapped in a holy cloth of worship. So, hope these insights help you, whenever you wish to read something. Never attempt to read anything just because you read this article, but follow your inner voice. If you are hoping to take suggestion from me or someone on which are the books mentioned here, don't even think of it for then it defeats the very purpose of why this article was written. My preferences and likes or experiences may not necessarily have to be the same for you and what is good for your ultimate good and of utmost importance to your life may not have a fraction to do anything with me or my interests. Trust your intuition and of course, what you desire truly, your intuition will guide you to that book, or even more if the grace of a Master wishes to reach you, it will reach you through even this form. What you choose to read or meditate upon is entirely your choice. Exercise your power of choice by verifying what is your intention behind reading something. Finally, a word of caution with the books you choose. Know carefully what you seek. There are millions of books out there. One attracts those ones according to what one's intentions are. So, a satvik desire or pure intention will bring you only the genuine and true ones into your hands. You will be guided to them or they will simply reach your hands. But, all this can be an utter disappointment for those who wish to eagerly read into something to quickly get something out of it or even with the intention of this. Reading requires patience, interest, meditativeness, reverence for the author. Pick up the book with respect, handle it with respect, and keep it with respect. Treat it as the divine manifestation. Offer gratitude to the sources that brings you the information - like paper, ink, publisher, or whatever brings the bhaav in you. Before reading whisper a prayer to the author or connect mentally with the pure intention of receiving it directly from their consciousness - through the book in your hands. Pray that it helps you for yours and other's ultimate good. All this need not be rigid and like a rule, but rather use your own emotions and all this can happen in even 20 seconds, provided you are in that space of emotion and awareness. Read every bit in total awareness and be engrossed in what you read and at the same time remain meditative as you read, visualizing the contents of the book. To begin with these are far more than enough. Later as you start experiencing it's subtle qualities and experiences, it would give you deeper connections and rest will improve as and how your intentions and desires remain. These sound simple but are very profound secrets about acquiring wisdom or sadhna with texts but I worry not about anything as am sure that if even this article is not read with right intention it would just seem to be an article. Those who 'need' it will understand it and make use of it, which is why this was intended to be shared. Happy reading!